Alyssa Collins with Penn State Extension shows a hemp plant that grew after the main experiment was harvested. Under guidelines from the state Department of Agriculture, any plants that spring up outside the parameters of the research period would have to be destroyed. "Pennsylvania was famous for hemp. We were known for it. And now it's an exciting new opportunity." Rachel is a reporter and host for WITF. She previously reported for the Radio Pennsylvania network, where her work earned the National Association of State Radio Network’s award for best feature two years in a row. Rachel started her career with the CBS affiliate in Bridgeport, WV. She is a graduate of Temple University in Philadelphia. (Harrisburg) — Industrial hemp used to be grown across the commonwealth and used for things like clothing, rope, and animal feed. Its popularity started to decline with the rise of cotton about 150 years ago, but the industry really suffered a setback when Congress outlawed it in the 1930s because of its similarities to marijuana. While the two plants are related, hemp does not contain enough of the chemical THC to produce a high. A new federal farm bill passed late last year removed hemp from the list of controlled substances, which means the crop could once again become a familiar sight in the commonwealth. Lancaster County was especially known for the crop. At one point the county held more than 100 water powered mills for processing hemp. This past year, just a few small patches were grown in the county for research purposes under a state pilot program. 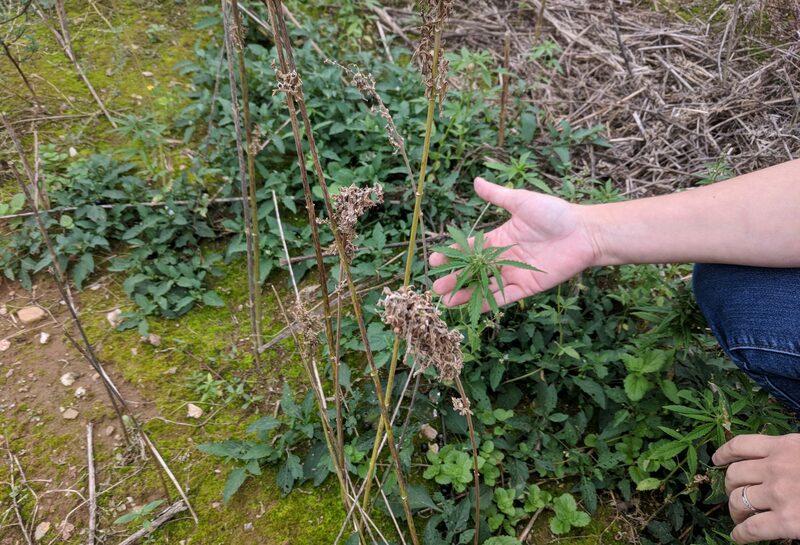 Alyssa Collins, a plant pathologist with Penn State Extension, yanked on a dried hemp plant to show how strong it is during an interview last fall. Researchers at Penn State specifically looked at ways to produce the most seed from the plant. They were one of a few dozen entities permitted by the state to experiment with industrial hemp over the past two years. They discovered some challenges to confront in the next round of study, such as hemp becoming tangled around traditional harvesting equipment. Alyssa Collins with Penn State Extension shows a hemp plant that grew after the main experiment was harvested. Potential hemp farmers can look to Canada, where the crop is already legal, for some best practices. But, Collins said, Pennsylvania has a slightly longer growing season and different soils and diseases to factor in. “And so we need to make sure that we get varieties that work in our climate and with our seasons and our farming systems,” she said. Collins said the crop might work to supplement a farmer’s income, if they can grow it without too much disruption. That could be especially helpful to dairy farmers, who faced price drops, canceled contracts and the fallout of international trade disputes last year. 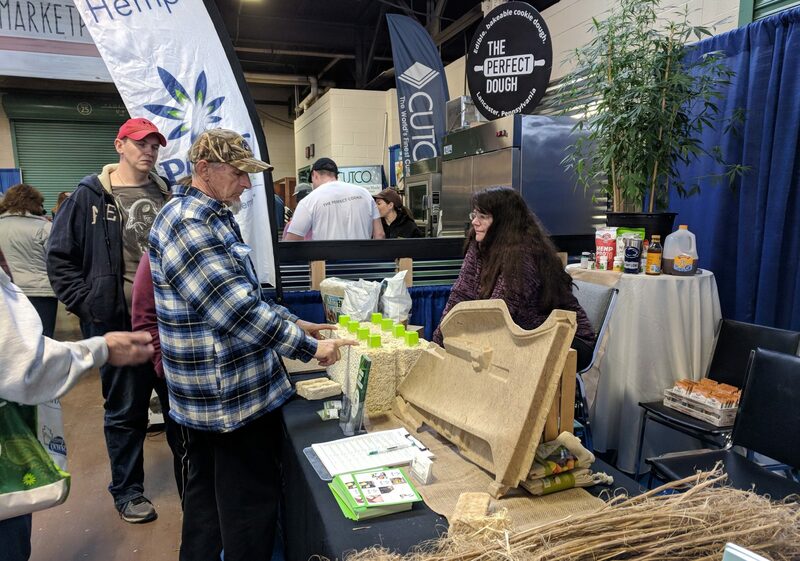 At the Pennsylvania farm show earlier this month, passers-by stopped, stared, and questioned their friends about a towering hemp plant set on a display table. Teens took pictures on their phones. Some people reached out to touch it. Pam Runser, of northwestern Pennsylvania, was a bit confused. Hemp and marijuana are both forms of cannabis, but they are not the same. Hemp displayed at the 2019 Pennsylvania Farm Show. Les Stark with the Pennsylvania Hemp Industry Council (PAHIC) has been explaining this difference to farm show attendees for over a decade. In the beginning, he said he got a lot of questions like Runser’s, but now he sees more farmers asking where they can buy seed. Stark, who’s written a book about the history of hemp in Pennsylvania, said what’s old is new again. “Pennsylvania was famous for hemp, especially in Lancaster County. We were known for it. And now it’s an exciting new opportunity,” he said. But before farmers can take advantage of that opportunity, they’re going to need a supply chain. For now, that doesn’t exist. 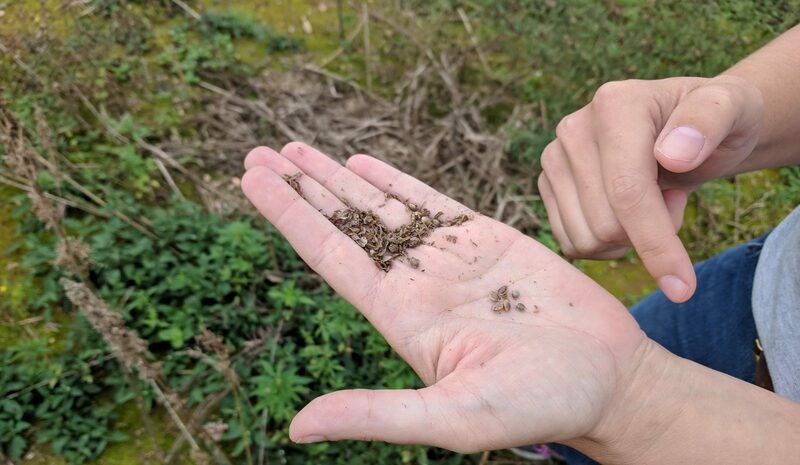 PAHIC’s executive director Erica McBride-Stark said farmers will need the security of knowing there is a buyer for their hemp before they put seeds in the ground, and potential processors will want to know they’ll have enough product to work with and sell. She said a recent change by the state Agriculture Department to lift a cap on the amount of hemp individuals can grow will help move the industry forward. McBride-Stark admits she’s optimistic, but she believes the hemp industry in Pennsylvania could grow to be worth $1 billion, simply because hemp can be combined with other materials and touch so many different areas. The seeds can be eaten, and many grocery stores already carry products from Canada. The plant can be pressed for oil used as a health supplement. The fiber can be used in items from clothing to building materials to car manufacturing. It can even be processed into compostable kitty litter. It’s not open season for industrial hemp just yet. The crop will still be regulated by the state. The commonwealth’s Agriculture Department is working on new guidelines now. 'Reviving the River' series: Which streams in the Delaware Watershed are too dirty for swimming and fishing?